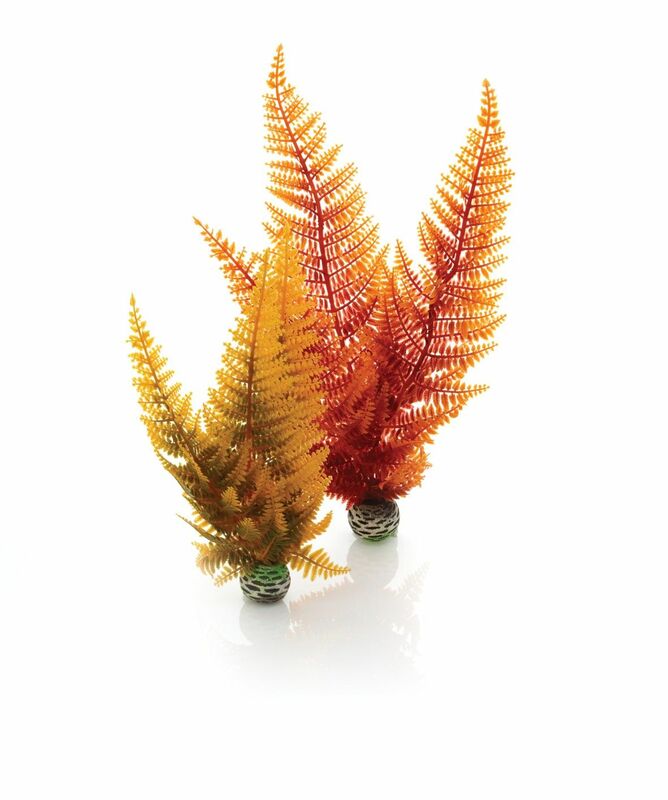 The Autumn Fern Plant is a great decoration for your biorb or biube aquarium. It has weighted bottoms so you don't need to worry about the plant floating to the top of your Biorb fish tank. Give your biOrb an autumnal look with Autumn Fern Plant Packs. Perfect with Winter Fern Plant Packs and Orange Colour Ball. A heavy round ball on the base of the plant makes it easy to sit the plant in the biOrb and holds it in place. Autumn Fern Plant Packs are supplied in packs of two containing one small and one medium plant. Suitable for all aquariums. Maximum plant heigh 28.5cm.